Thousands, if not, millions of pages of great content are published to the Web daily, but good content alone rarely ranks without links. While many people are running away from the idea due to its tedious implementation, backlinks are one of the best, if not the best, tool to help improve your website’s popularity and SEO ranking. The problem is that many people are still unsure of what backlinks are and how they can get good links to build organic ranking. Create controversy: The trick is to create controversy sparingly. While the occasional rant is fine if overused it loses its effectiveness. Use humor: This softer alternative to controversy can be equally effective, especially if the humor is original. Participate in blog and forum communities: Being an active community member who gives back by answering questions that help people will do you no wrong. This helps build credibility and opens up opportunities to attract links. Use social media: Like blog and forum communities, getting to know people via social media opens up link opportunities. Think about where your target audience spends their time. Whether it is Facebook, Twitter or Instagram; you need to be there as well. Publish original research: Digging into a specific subject can get you a lot of links as well as provide you with useful data. A little effort can go a long way. Create a “Top X List”: Although this can get tiresome, most people are interested in content relating to lists of things. Use occasionally and it is a great way to help you get a lot of links. Make sure your site has good architecture: This might sound remedial but many websites mess this up. A lot of people don’t consider whether or not their site can be crawled or even bookmarked – big mistake! Blog frequently and establish yourself as an authority in your field: Posting good content or even pictures frequently can get you a lot of links very quickly. If you’re not keen on maintaining the software, you can use a platform like WordPress. Create how-tos and tutorials: Most people who need help turn to how-tos and tutorials, and while this may not attract a ton of links in some cases, keep in mind that this might create a link to help other people in the same situation; even a few good links can have a huge impact.. You can also make a few video and the perk here is that you do the work once and then lots of people downstream can find it useful and some of those people will link to you. Create a useful product and give it away for free: By investing your time in creating a user-friendly product, lots of people can and probably will, download your product especially if it’s free – and some of those people will link to you. Easy and automated link spamming is no longer an option for those in it for the long haul. Backlinks are still an important metric and a dominant tool to drive organic traffic to your website. 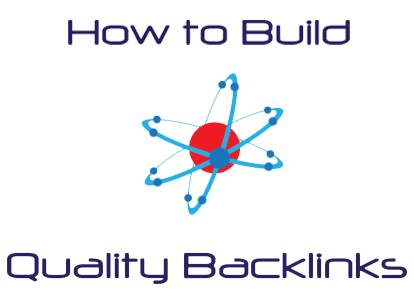 Looking to learn more about backlinking and its components? Contact us today. 0 Response to "How to Create Backlinks to Your Website for Free"